For those that love cats, the biggest issue is how to get them accustomed to using the cat litter box and finding one that can help control odor better. Truth be told, not everyone should own a cat for many obvious reasons. Have you walked into a home and the stench from the feline creature is just too strong for you to cope with? Why are some people experts at managing the waste created by cats, and others just don’t know the steps needed to live in an odor free home? I have come to the realization that the biggest determining factor in handling cat poop and pee is the type of litter product you’re using. While your cat does not care what type of brand you buy, some are just not formulated the right way. Another obvious decision for the cat owner is what to do about clumping and non-clumping cat litter brands. While the list of ingredients used to make a cat litter would vary from brand to brand, the top-selling products for controlling cat pee and poop will be made using the following ingredients setup. This is the oldest form of cat litters and you can still find the top brands using this ingredient. Clay is not only a natural substance, but also comes with the ability to absorb liquid quickly, and most effectively. It is also true that the right clay will contain natural properties that can help with odor control. Cat litters made out of clay is making a huge comeback, especially those made using Bentonite clay. You would find that the top most trusted clumping cat litters use Bentonite clay as the most active ingredient. On the downside, clay litters might create a little dust, especially if your feline friend enjoys to play in it. 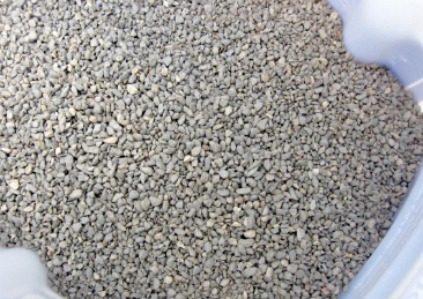 This type of cat litter is made from silica gel. The gel can be formulated to increase absorption and odor control powers. Most will be made with chemical byproducts, which means you should read the ingredients list of your favorite cat litter brand using this method, carefully. The main advantage of this type of cat litter is that they do not produce any dust, but can be quite dangerous if your cat should decide to eat some. Also, the formulation is not the greenest, if you know what I mean. The human need to only use green friendly products is now been transferred to pet products. Cats are friendly, but also nosey creatures, so do expect them to nibble occasionally on the cat litter. This is even truer if you’re stingy with the regular food for your cat because you want them to go after the mouse faster. Biodegradable cat litters serve two purposes, they will not cause any health problems if your cat feast on it a little, neither will they clog up the landfill like other types. After deciding the type of ingredients you want your cat litter to be made out of, the next step is to choose if you want one that clumps or not. Clumping and non-clumping cat litters have unique advantages and disadvantages. I have tried both in the past, but my favorite seem to be the ones that clump quickly after the cat makes poop or pee. Truthfully, both types will work just fine for most cat lovers, but your home environment might be the key determining factor. It was the non-clumping cat litters that started the craze when pet lovers were searching for effective ways to control the smell from cat’s waste, so it desires recognition. I wish I could tell you one product that is the world’s best cat litter due to the vast differences in odor control capabilities. Some of the top cat litters will be made this way, especially those derived from only natural ingredients. Let’s explore the advantages and disadvantages of using a non-clumping cat litter brand. Based on price alone, some of the cheapest cat litters will be non-clumping. You get a wider selection of cat litters that are non-clumping as compared to the clumping variety. With so many cat litter brands to choose from, it will be quite easy to find a product that can help make owning a feline creature a pleasurable experience. Non-clumping cat litters might come with quicker absorbing powers, as well as offer lower maintenance steps. The inability of your cat’s waste to clump do come with downsides, one being that the lifespan of the litter will be shorter. Non-clumping makes it quite hard to identify the location of the cat’s feces and pee. Most will do a poor job at controlling and masking the smell from your cat’s waste. The Purina brand name needs no introduction when it comes to pet supplies. This company has done so much to make it easier to love and care for pets, especially the feline kind. 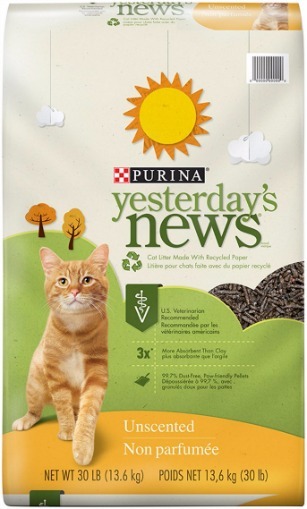 This cat litter that is unscented and formulated not to clump, is marketed under the brand name Yesterday’s news. It is available for purchase in four different sizes. Not only is it made to absorb more cat waste, it is also made to be 99.7 percent dust-free. This product is made out of much softer paper pellets, which mean felines with sensitive paws will enjoy using it for waste activities. Another major player in this niche market is called Fresh Step. Even thou this cat litter is non-clumping, it is also scented with the right type of antibacterial properties that can neutralize the growth of the bacteria that can cause odors. Included in the formulation of the Fresh Step cat litter is activated carbon, which is capable of trapping the odors 24/7. Looking through some of the ffeedback a few of the current users expressed delight as to how fast it is able to trap the pee and poop from the cat before the smell spreads inside the house. 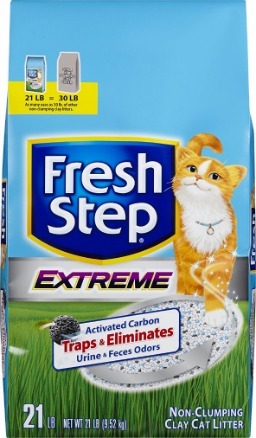 Amazingly, the unique fragrance used to make this cat litter from Fresh Step is formulated to release as your cat uses the litter. It is obvious a lot of cat litter brands have the word fresh in their brand or product description. 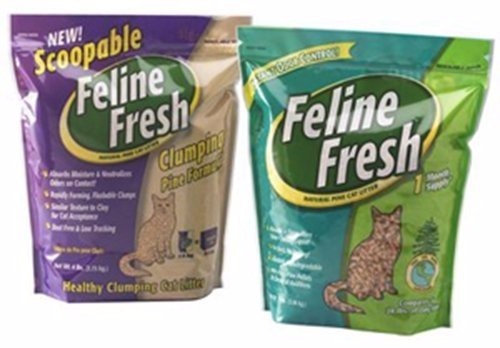 The Feline Fresh natural cat litter can be purchased in two unique sizes. The manufacturer claims it is appropriate for use for all cats including little kittens. The most active ingredient in this product is the Southern pine wood, which means it will contain the right natural properties that would contain the spread of bacteria and also neutralize odor created by your cat. This is probably the most natural, non-toxic cat litter brand you’re going to find anywhere online. It is not only free of any added perfumes, but also of free of any silica dust. With the advancement in modern technology come products that are made from manipulating the characteristics and composition of natural ingredients. Clumping cat litters can be found with different active ingredients including a few with an all-natural composition. The important thing you have to know about clumping cat litter is that it has the ability to hold and control odor better. Simply means the poop and feces from your cat will be turned into clumps that are hard and can be easily disposed of. Cat litters with clumping ability are able to absorb the waste from your feline much faster than the other type. A box of clumping cat litter will last much longer than the non-clumping variety. Since it is easy to identify the part of the cat litter that is contaminated with cat waste, the job of removing them is quite easy. Rather than throwing away the whole cat litter, you simply scoop away the hard clumps into the waste recyclable. Based on my research, clumping cat litters are generally more expensive. There are limited choices in the most active ingredients since most of the formulations are quite similar. It can be quite arduous and discomforting to wade through cat litters looking for the hard clumps to remove. This activity of looking for clumps will also create more dust within your living quarters. If you consider your feline friend precious, this hypo-allergenic cat litter will appeal to you. It contains no plant proteins, neither do it contain any deodorants or perfumes. There are two sizes of this product to choose from. Some of the current users called it the top odor neutralizing clumping cat litter with an all-natural composition. Another distinguishing feature of the Precious cat litter, is the ability to prevent moisture from developing. 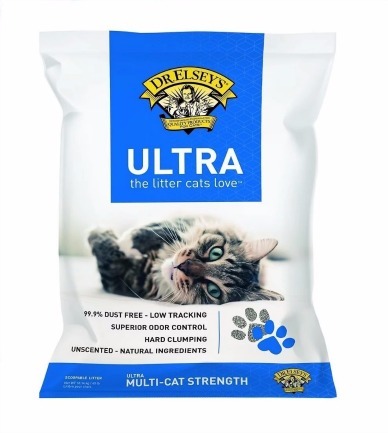 The Precious ultra-premium clumping cat litter is designed to be non-tracking, which means your feline friend will not be able to spread it all over your home. It is formulated to be almost dust free and recommended for use in mechanical litter boxes. Here is another excellent cat litter from Fresh Step, and this one is of the clumping variety. 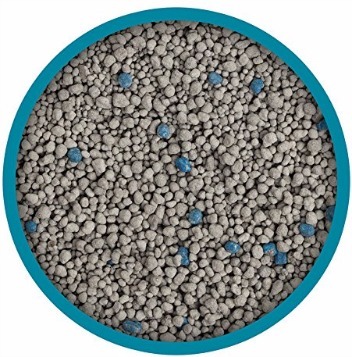 There are agents placed inside this cat litter to inhibit the growth of odor-causing germs. 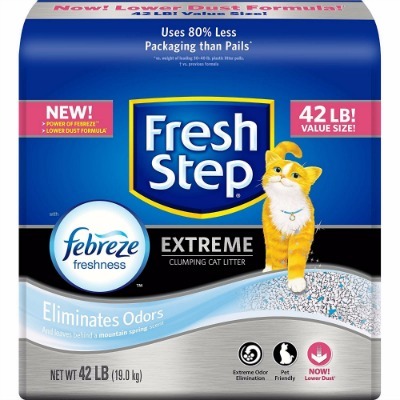 Added to the composition of the Fresh Step extreme clumping cat litter are extracts from plants with odor neutralizing abilities. The clumping is made possible due to the unique combination of carbon and technology, which simply means it is capable of encasing the waste from your cat tightly, which guards against your cat’s waste being able to disturb your sense of smell. 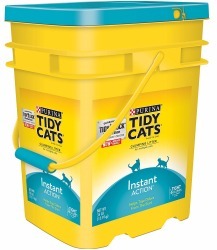 Here is another cat litter from Purina and it is sold on the brand name Tidy Cats, which is a familiar premium brand name to most Americans and Canadians. It has the power to do away with odors from your cat’s pee and poop, which ultimately leads to a cleaner and fresher litter box. 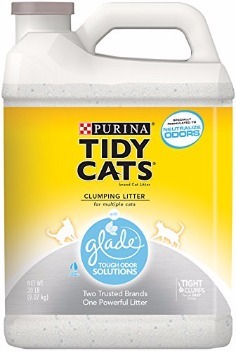 The clumps formed by this cat litter from Purina brand will become hard fast, which means moisture will not have the time to escape, thus leaving your cat’s litter box dry, comfortable, and enjoyable, for your feline companion to visit. The ability of cat litters to clump is now a source of concern for those that prefer greener products for pets. Just like everything else, it is up to the consumer to read the ingredients list of any cat litter that is designed to be clumping. Obviously, the concern is that digestion of the litter by your cat might cause health problems, which is perfectly understandable but is not a major issue found among the top selling brands found in the marketplace. On the other hand, do not neglect to feed your feline companion on a regular basis for they have survival instincts just like humans. You can read more about clumping cat litters and any dangers they might pose from this article and another post that explains why the present day clumping cat litters are safe. What is the Best Cat Litter for Your Feline Friend? 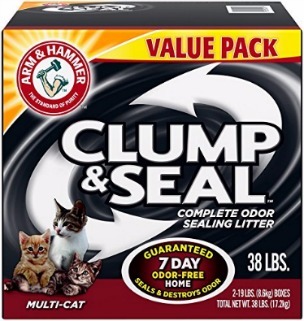 From the products listed in this clumping cat litter reviews, it is quite obvious you have a wide selection of products to choose from, and you can discover the other brands with excellent performance metrics by clicking any of the images. Unfortunately, you might have to experiment a little bit to find the cat litter brand that would control odor from your feline waste better. Clumping or non-clumping, is not an issue, as that will be determined by how you like to interact with your feline companion. One thing you might not like is the cat litter that allows your feline to track the product all over your home. All the brands I mentioned in this post are made to be non-tracking. Also, keep in mind, any product that is toxic to your pet is probably toxic to humans as well, so choose the cat litter you want to use wisely!